A.J. Fikry’s life is in tatters, the bookshop he opened with his wife is failing and her untimely death after a tragic car crash has left him numb with grief. Then one morning after drunkenly pawing his incredibly rare and valuable Edgar Allen Poe novel, he wakes to find it gone. After rushing to report the book stolen he returns to the store dejected and depressed only to hear a strange noise in the shop. Alone in the children’s section, Fikry discovers a little girl with her nose in a book. A note left by the child’s mother explains she can’t care for the little girl any more and how she wanted the girl to grow up surrounded by books. Back at the police station Fikry is about to hand over the little girl until he’s told that she’ll have to stay at the police station over the weekend until child services can come and get her. Realising he’s quite enjoyed the clever little girl’s company he insists on keeping her for the weekend, especially as it was her mother’s wishes and as time passes the little girl, Maya and Fikry become more than lost souls, they become family. 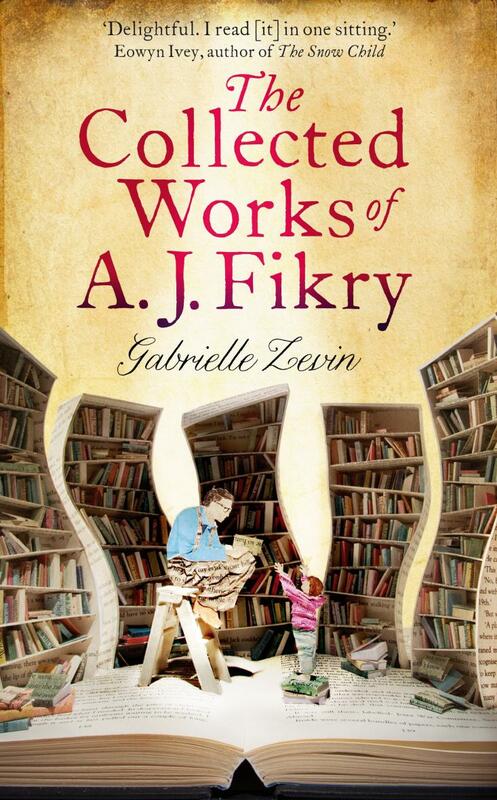 The Collected Works of A. J. Fikry is a little gem of a novel and is likely to touch a soft spot in every bookseller or publicist’s heart, with a baby seat made out of proofs (or galleys) to absolutely nailing the classic ‘grump bookseller’ with their very specific hates. This novel will not only appeal to people involved in the book industry but also has all the ingredients to capture anyone’s heart. Fikry is stubborn and old before his time but softens with the witty bookworm that is Maya. The secondary characters in the policeman and Fikry’s sister-in-law also add another layer to the story to make it even more enjoyable. It’s a heartwarming novel with hints of The Pilgrimage of Harold Fry but with such a hugely positive start to the novel you know there has to be some sadness brewing. My only wish is that the ending was a bit longer, it’s a short novel and the climax to it felt quite sudden but that could possibly be a deliberate way to increase its impact. Overall The Collected Works of A. J. Fikry was a joy to read.